Contrary to the global trend of decreasing maternal mortality, the United States—always looking to go against the grain, even when it means the death of American women—has seen an increase in maternal deaths since 2000. In the U.S.*, maternal deaths, which—according to the New York Times—are “notoriously hard to count,” are classified as any death of a woman that’s related to labor or pregnancy complications that occur within a year of giving birth. Causes of death can include (but are not limited to) hemorrhaging, eclampsia, diabetes, and heart problems. 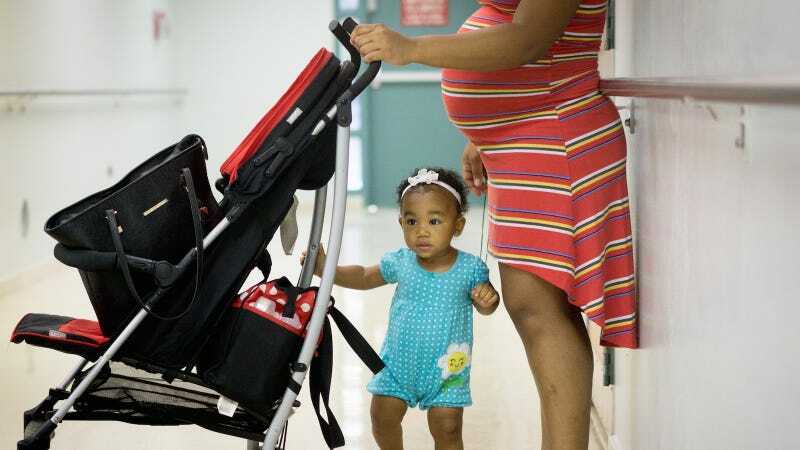 Researchers have theorized that an increase in obesity — particularly acute among poor black women, who have much higher rates of maternal mortality than whites — may be contributing to the problem. “The really scary thing to us is all the deaths from cardiovascular disease and heart failure. It’s a quarter of all deaths. There were almost none in the remote past,” Dr. William Callaghan, head the Maternal and Infant Health Branch in the Division of Reproductive Health at the Centers for Disease Control and Prevention, tells the Times. In maternal mortality, the U.S. now ranks above Vietnam, Iran, and Romania. Sub-Saharan Africa, according to UNICEF, continues to have the highest maternal mortality rates in the world. Why Is Home Birth So Much More Dangerous in the United States Than in Canada and Europe?